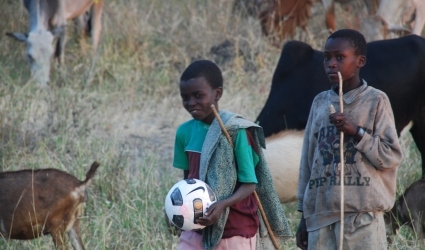 Fifty soccer balls and 44 pairs of cleats donated by Seacoast United were distributed to schools and children in Tanzania by the Grand Circle Foundation this summer. Thirty-six balls were brought to Tloma School, 4 were gifted to the headmaster of Rhotia School, both schools in desperate need of outdoor play equipment. 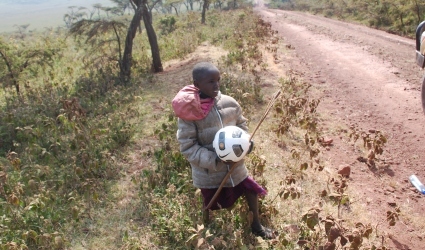 The remaining 10 balls were divided between 2 jeeps and given to children in the countryside as the GCF workers travelled the country. Seacoast United will be hosting a shoe/ball drive on Monday, August 27th, where families can donate used soccer cleats and soccer balls to benefit organizations in need, both domestically and abroad. Donations will be accepted at the Indoor Arena in Hampton during Club Orientation from 5-8pm.